1. The crane for nuclear power is mainly used in nuclear power plant for nuclear power plant construction and nuclear power daily working. 2. 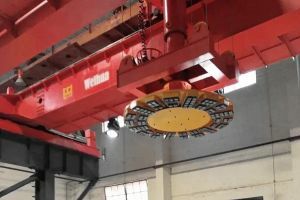 Weihua provides special cranes for special industry use. If your business is special enough, contact us for solutions. 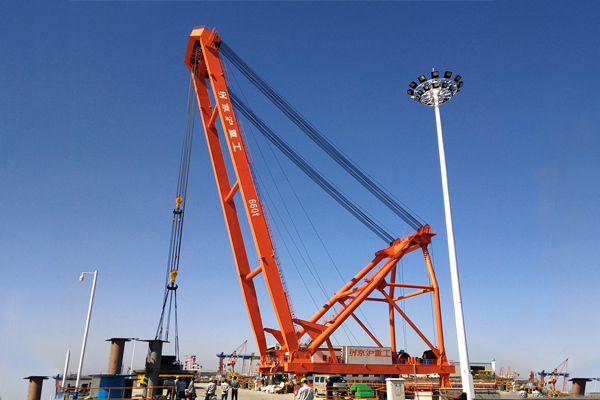 Weihua provides special cranes for special industry use. 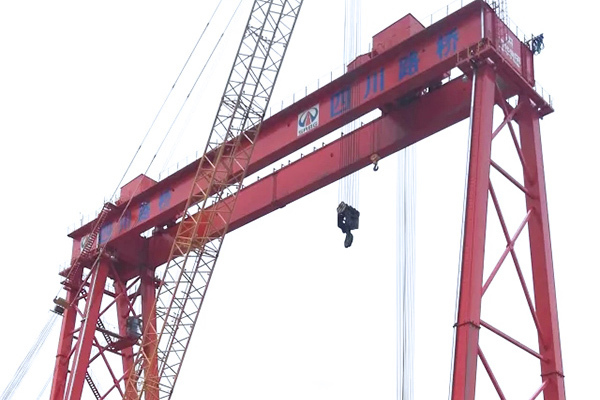 The crane for nuclear power is mainly used in nuclear power plant for nuclear power plant construction and nuclear power daily working. 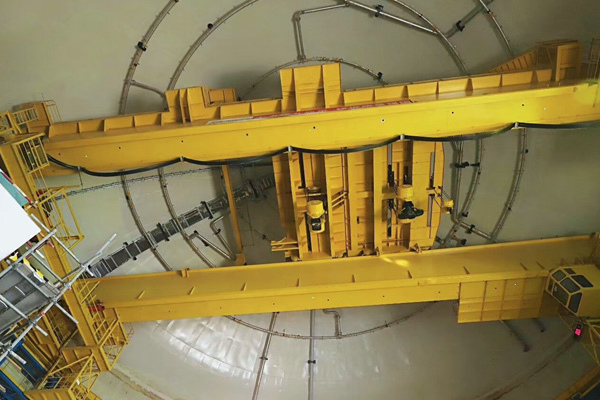 It can be used to lift the Steam Generator and Reactor pressure vessel during the nuclear power plant construction. 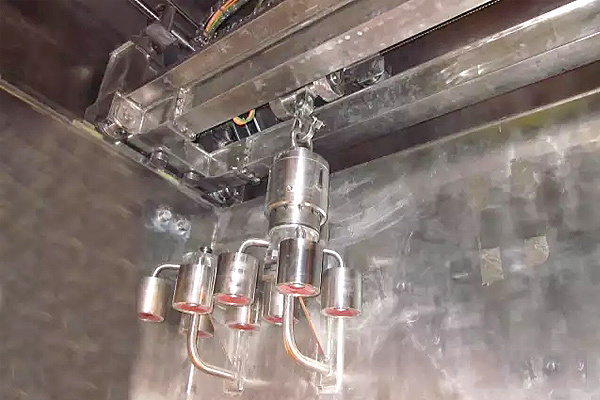 It also employed to handle Pressure vessel top cover, pressing unit, basket, and spent fuel containers during daily working of nuclear power plant. 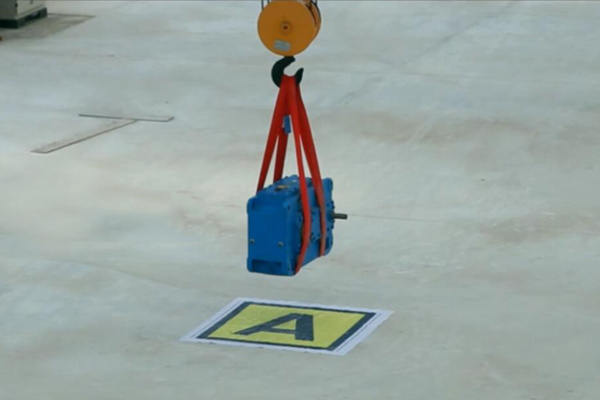 Nuclear power crane can be remote control. It is designed with single fault protection and multiple redundancy protection. Every drive mechanism has enough Starting torque to ensure safety running in case of one-side bearing Max. wheel load. Enough Strength calculation of components and enough protection measures for crane structures. Accurate (±5mm) positioning for trolleys and hoist beam. 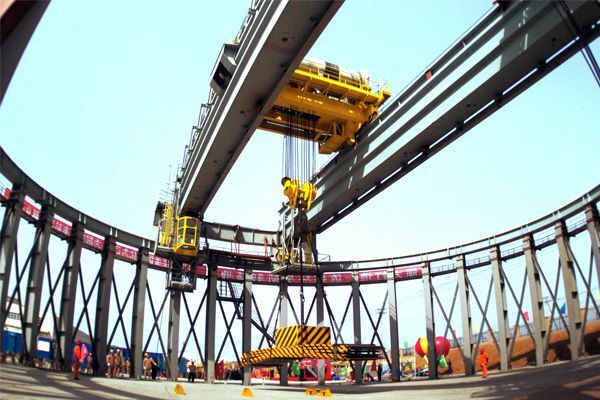 There is 3d positioning display system for ring rail crane to display the exact position of the hook. It is known that nuclear power is a very special industry need very seriously treated. 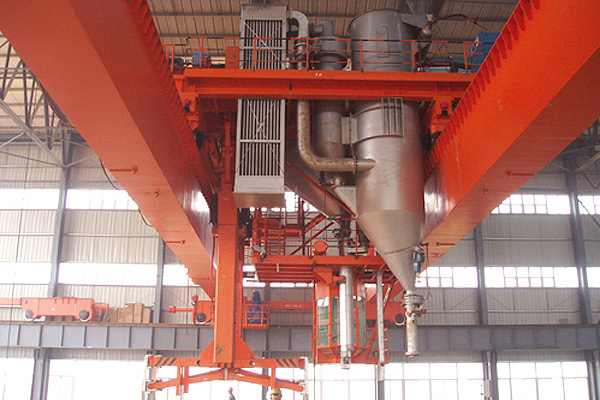 The running of a nuclear power plant need very strict working and heavy task. For example, it needs auto operation inside nuclear plant without people entering in or maintenance for several decades. So it is a big deal for equipments working in nuclear plant. 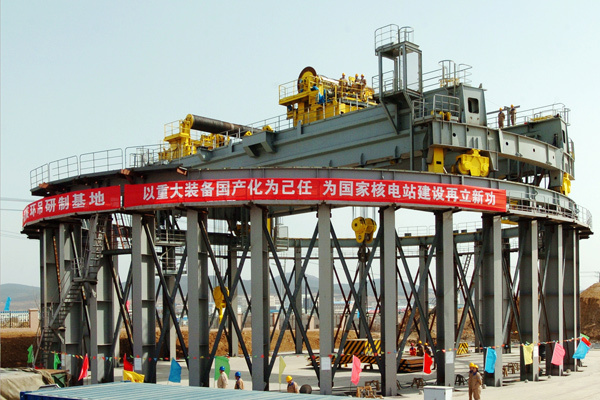 Stainless Steel Crane for Lifting Nuclear Waste, Lifting Weight: 0.5t. 1. 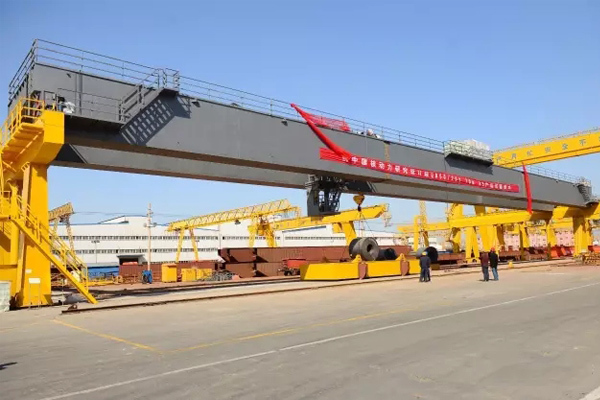 Lifting of heave machine and parts such as Steam Generator, Pressure vessel top cover, spent fuel containers, Generator rotor, etc. 2. 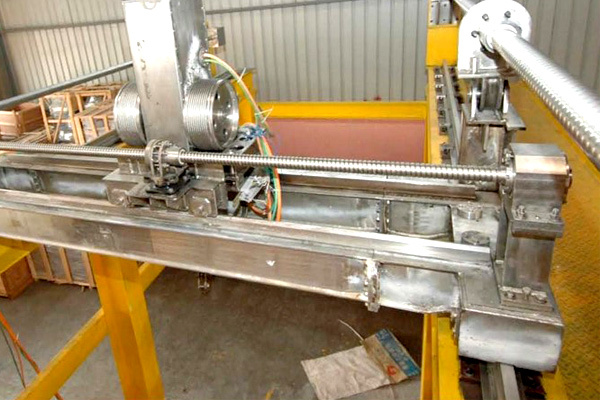 Handling of Components such as new fuel components, spent fuel components, Control rod components, etc. 4. 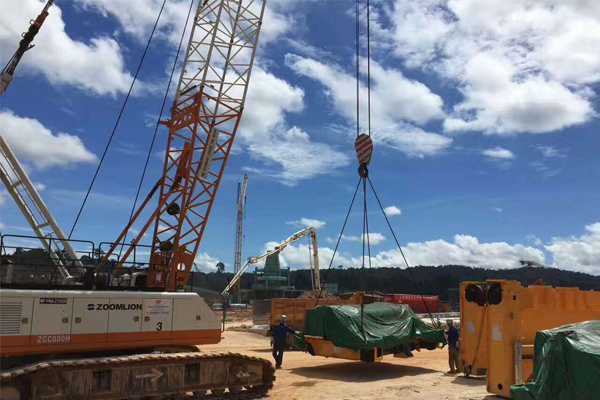 Lifting of large structural parts for the construction of nuclear power plant. If your business is special enough and cranes involved, contact us for solutions.